Sometimes we attend a concert and get there early for the opening act just to see who he/she is or check out the band. It may be someone we know or it could be an opening act you’ve never heard of. However, sometimes these opening acts become headliners themselves, and actually surpass the headliner they originally opened for! Check out these once opening acts that surpassed the headliner in popularity and success. 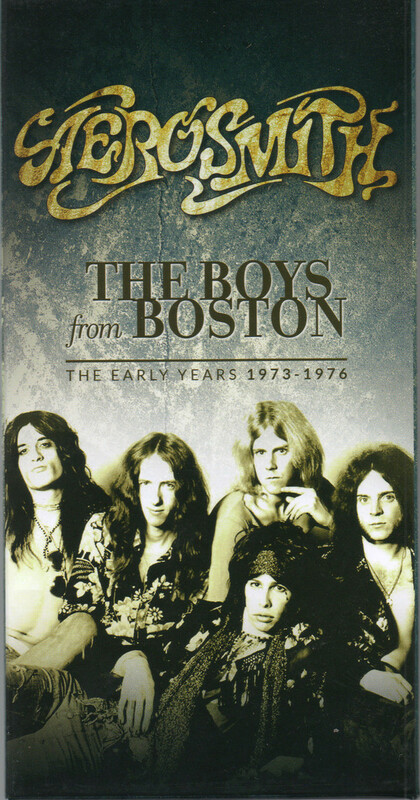 Steven Tyler, the group’s lead singer, reminisced on Aerosmith’s opening act back in 1973, “for Sha Na Na at Suffolk Downs racetrack near Boston. Thirty-five thousand kids showed up and got so rowdy they had to stop the show. Awright!” That night, Aerosmith received a standing ovation after finishing their opening act. The once Sha Na Na came on stage, the kids went wild in actions. Bottles, cans and objects flew onto the stage and a beer can went straight for one of the singer’s head that sealed the deal and forced the group to leave the stage. Sha Na Na, who pride the group of being “from the Streets of New York,” performed rock and roll music throughout the country. The group Received one Grammy nomination back in 1978. The group was a collaboration of 12 members/performers. Although the group didn’t achieve extreme measures of success, they did appear on the hit movie, Grease in 1978 and performed two songs on the soundtrack. Aerosmith won over 30 awards and has close to 80 nominations across the board on award shows. Of those wins, Aerosmith has six American Music Awards and four Grammys. Though Tina started the tour saying “Lionel’s crowd was not my crowd,” she then changed her reputation and popularity after the release of her album Private Dancer. After this, she was no longer “Lionel’s Opener” but a dual headliner, and eventually, the better act. She received praise and attention with her strong and confident stage presence and her ability to move and dance and perform for every show. Tina Turner is in the Grammy Hall of Fame, known as the Queen of Rock, has won 238 awards and received 293 nominations, sold over 200 million records sold to date and is on Rolling Stones 100 Greatest Singers of All Time as No. 17. Though not to forget she is also in the Rock and Roll Hall of Fame and has become one of the most iconic women on the rock scene and in the music industry alone. Back in 2009, Lady Gaga opened for the Pussycat Dolls. Though the two were similar in a sense, they both stood apart. However, the more Lady Gaga was on the scene, the more fans took a liking to her. Lady Gaga had reports of even upstaging the Dolls long before she was even a headliner. She took the stage with dance moves, loud, live music, and arguably lead a show as more of a dual-headliner than a support act. Lady Gaga never stopped excelling in music and popularity. She just finished a tour and continues to produce songs and music. Gaga received a whopping 504 nominations and won 233 awards total, six of those being Grammys. She just performed at the 2018 Grammys and brought everyone to their feet and tears to their face. Pussycat Dolls released some hit songs and topped the charts. However, the group slowly dwindled. Though, after 2009, the group stopped hitting the music scene. In their time, the Dolls received 68 nominations and earned 19 awards. In 1978, AC/DC set its sights on America and brought its Australian rock band to play the “Powerage” Tour. 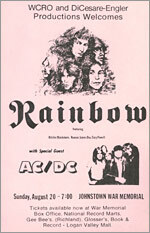 AC/DC was a live wire on August 24, 1978, when the Australian rockers took a detour on their Powerage tour to support Rainbow at the Palladium in New York. Even without top billing, AC/DC emerged as the star of the night. One radio show host remembered being at the show. In his words, “Angus Young was on top of Bon Scott’s shoulders playing the guitar and they stopped right next to me and were shaking their heads and sweating all over the place and I’m looking at them going this is unbelievable.” It’s said that Ritchie Blackmore’s Rainbow came out and then left due to a “technical error” however, some believe there was just no matching the performance of AC/DC. AC/DC went on to become an iconic group known for their performances and music. The group won 12 awards in their time including 1 Grammy and received another 24 nominations, seven of them being Grammy nominations. The group was inducted into the Australian Recording Industry Association’s Hall of Fame in 1988.
into your room, loaded with bottles and whatever else, and off you’d go again. 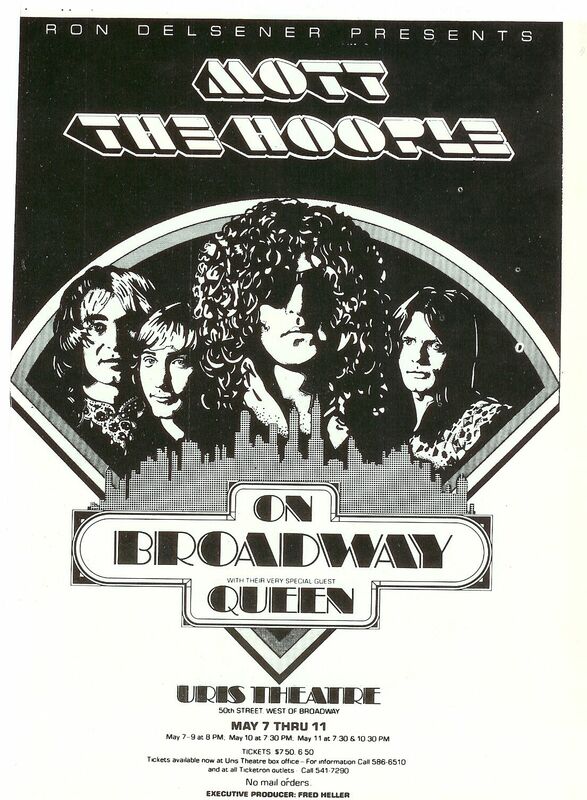 It was very, very full-on and very, very exciting.” Queen referenced their time with the Hoople in “Now I’m Here.” Unfortunately, Mott the Hoople began splitting up with the departure of Ian Hunter. After Queen released “Killer Queen,” the group would never be the same. Queen has since been inducted into the Grammy Hall of Fame for We Will Rock You and Bohemian Rhapsody. The group also received a Lifetime Achievement Award during the 2018 Grammys among many other awards and nominations. 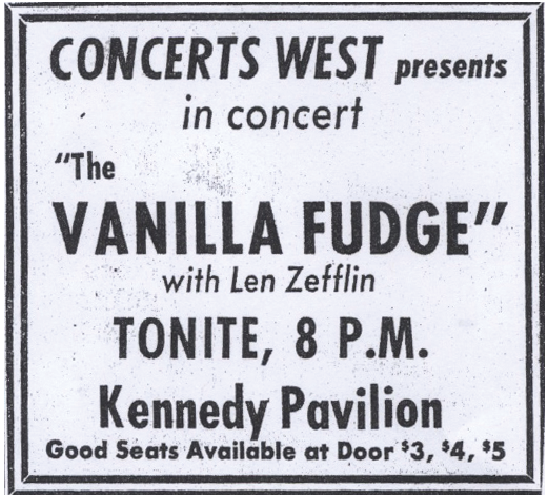 said “I remember pulling up to the theater and the marquee said, ‘Vanilla Fudge, Taj Mahal and Support.’ I thought, ‘Wow, here we are: Support! '” Even down the road, the group was misspelled as “Led Zefflin.” However, the group made sure to never be the “support” again and to make their name unforgettable. The following day, the Denver radio station got their hands on the group’s unreleased debut album and played it nonstop. Led Zeppelin has become even greater than just a household name. With over 800 nominations and an unreal 638 awards won, this group goes down in history as one of the best. With 5 Grammys, and many more awards, the group was inducted into the Rock and Roll Hall of Fame as well as the UK Music Hall of Fame and Mojo Hall of Fame 100. Although No Doubt certaintly had their time and Gwen Stafani went on to accrue her own success, Katy Perry definitely has the upper hand when it comes to her own success over the group. Though she didn’t outshine No Doubt during her opening act, she eventually developed her career and has continued to have a lasting presence. She now has nine No. 1 singles, while No Doubt never quite topped the charts. At the time, Katy Perry did make a great opener though. She has a fan favorite and No Doubt’s fans enjoyed her costumes and music. She held her own yet used this imortant time to learn and develop before making it big. No Doubt continued to bring Katy Perry along for their tours and helped her spread her music and name across the country. Now, Katy Perry has over 300 nominations and 90 awards won.